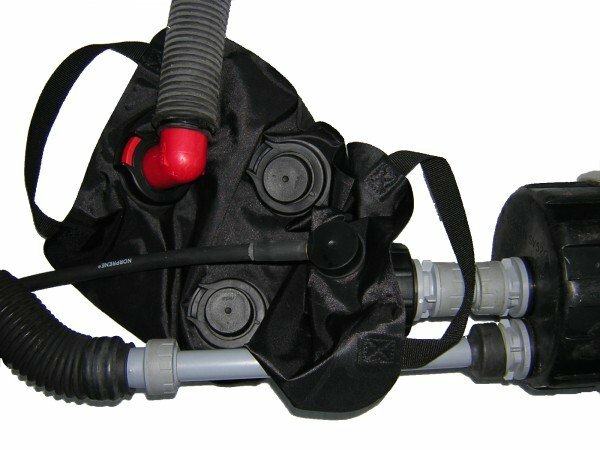 The D5™ is a sidemounted rebreather designed for cave diving. 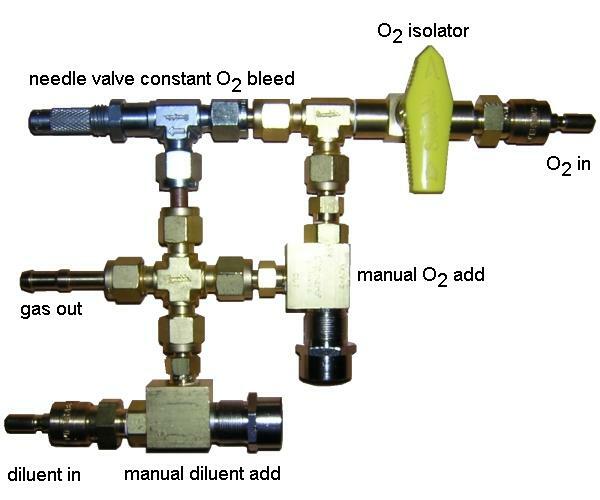 It incorporates a metered O2 gas feed with manual bypass and manual diluent injection to a single 4 l counterlung mounted on the exhalation side of the mouthpiece. 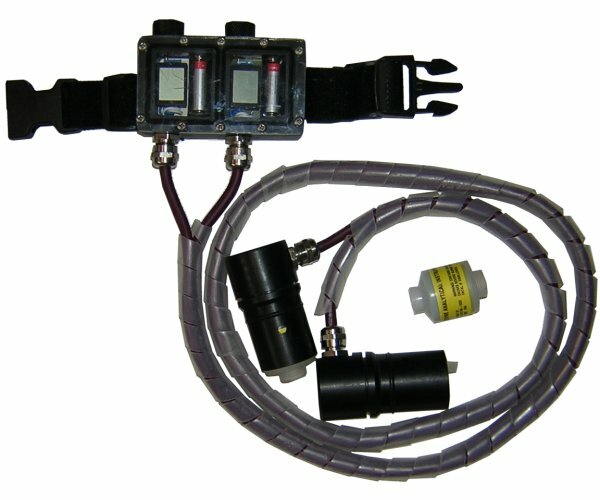 The counterlung is fitted with two P-ports to for ppO2 monitoring using Draeger OxyGauge's or equivalent. 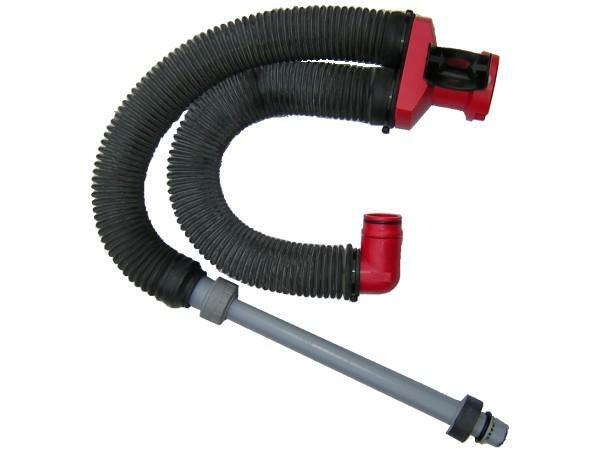 Gas flow is from the counterlung to the base of the scrubber via a centrally located dip tub up through the scrubber bed and back to the mouthpiece through a short stand pipe. 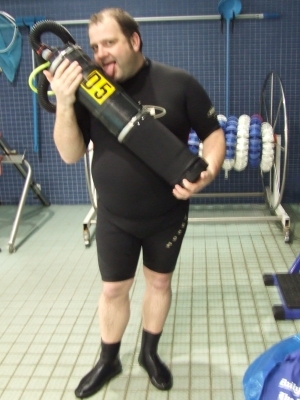 An oversized cylinder of diluent is worn on the diver's right and is usually fitted with a Y-valve to drive independent regulators which provide diluent and suit inflation. The smaller cylinder contains oxygen for the rebreather. 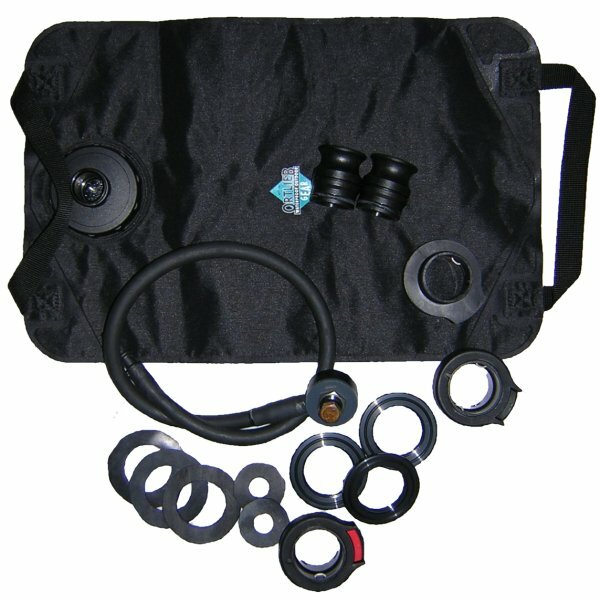 Shown here is the novel sidemount rebreather mouthpiece designed by Fred Badier that is used in the Joker rebreather and available from airtess.com. A clever sealed plunger arrangement is used to open and close the mouthpiece. 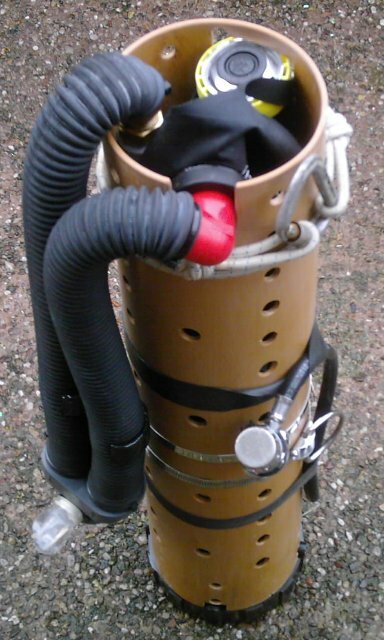 The hoses attach to the body of the rebreather via a P-connector (red) into the counterlung and a standpipe (grey) which screws directly into the exhale port on the scrubber. The protective case (a length of 150 mm (6") i.d. extractor fan vent pipe) around the counterlung has been removed along with the gas feed block. The two black p-ports for the O2 cells are visible along with the red p-port which attaches to the exhale hose from the mouthpiece. 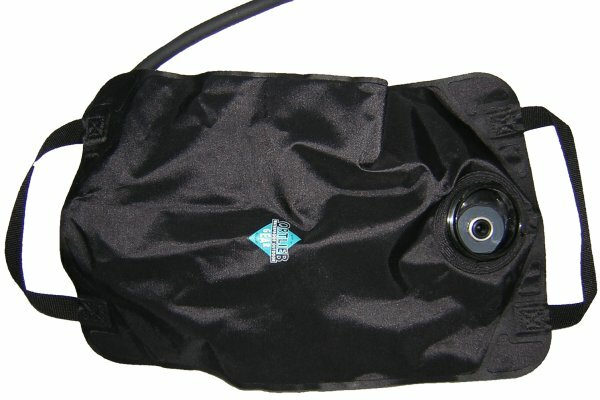 The counterlung is made from a 4 l Ortlieb bag fitted with 3 ports and an Halcyon unbalanced P-valve on the opposite side to the opening for the filler. The scrubber is made from an ex-army short rocket tube and holds 3.3 kg of sodalime with a duration of 3+ hours. The configuration is a coaxial design with gas flowing down a central dip tube and back up through the sorbent bed to exit via an offset port. The hose clamp sevrves as an attachement point to the diver and also to allow the counterlung case to be attached to the scrubber. A neoprene sleve covers the scrubber for insulation. Inside the scrubber two perforated discs of perspex retain the dust filter pads either side of the sorbent bed. 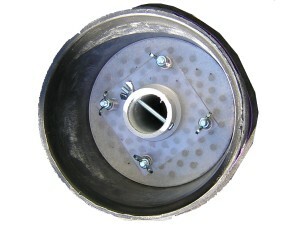 The top plate sits on a collar over the dip tube which screws onto the central inlet port. 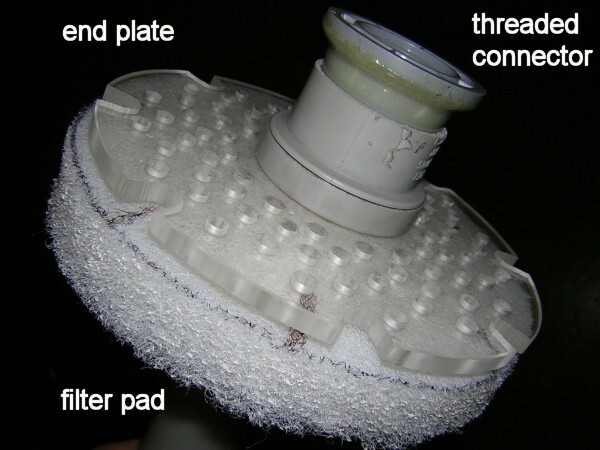 The bottom plate is sprung loaded against the sorbent bed and retained by collar which is pinned to the dip tube. 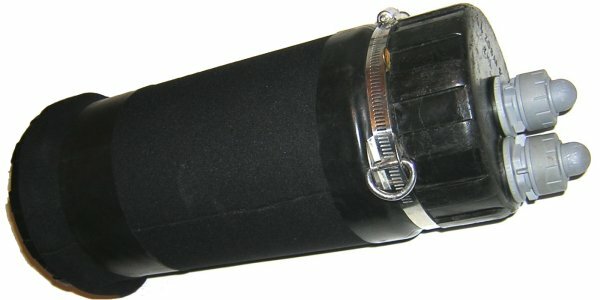 The lid of the rocket tube is modified to accomodate a pull dump which serves as an overpressure valve for the rebreather. Being located at the base of the scrubber it can theoretically be used to expel water in the event of a flood. 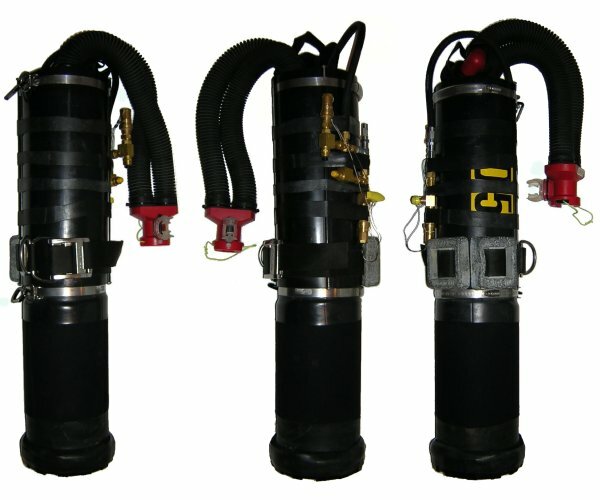 The picture above shows the gas feed system to the rebreather similar to that used in the R4P with the difference that the components have been reduced slightly. 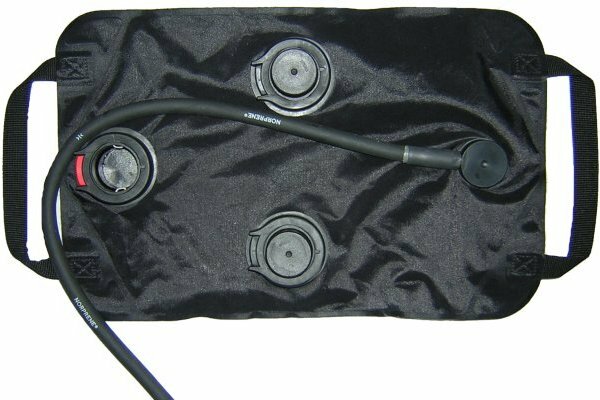 This picture shows the dual ppO2 meters which plug into the black P-ports on the counterlung. 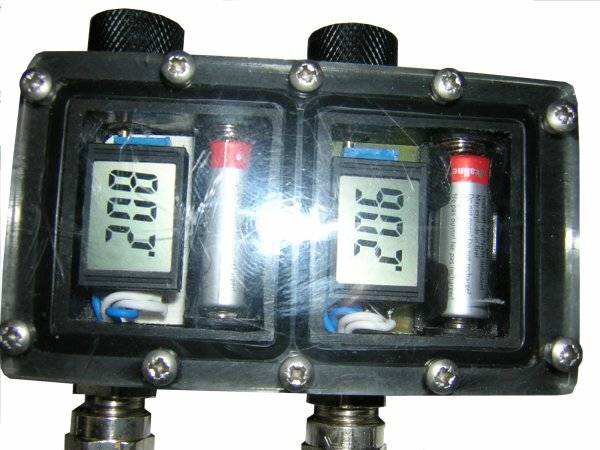 The displays are independent to one another, calibrated via ports in the side and operated by magnetic reed switches in the back. I didn't make these - Dave Mager did! 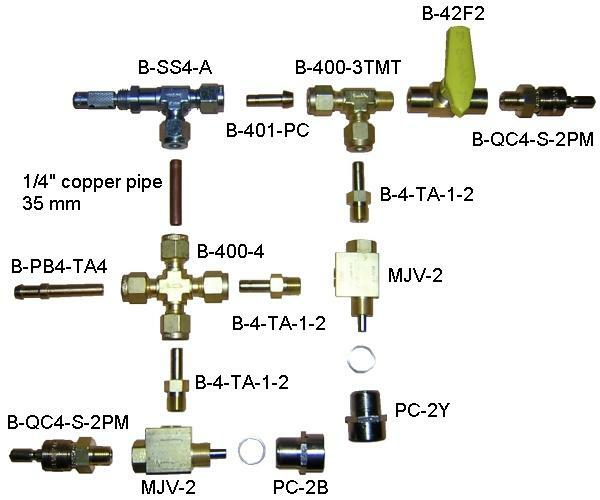 All assembled without ppO2 meters, off-board diluent and O2 supplies. Note the two 2kg blocks of lead used to obtain the correct trim for the unit which brings the all-up weight filled with absorbant to around 13 kg. UPDATE: Five D5's were built. Anders Purannen modified his, a description of which can be found here with some explanation and ideas here. 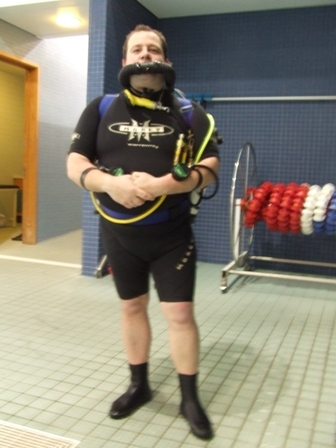 Alex Mashall and his rebreather can be seen here and here. Mark Wenner & Forrest Wilson also have D5's in the USA. 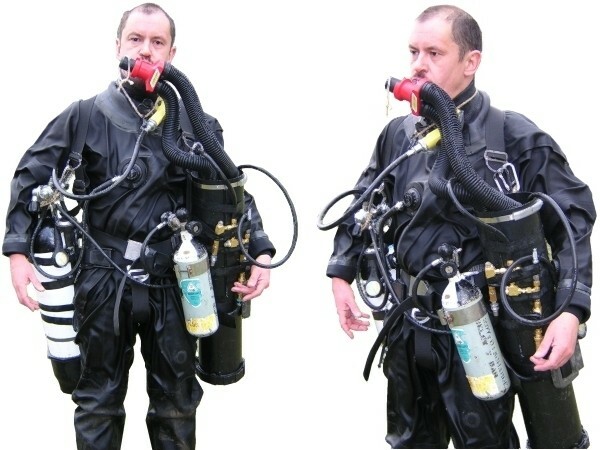 Martyn Soliman has also built rebreather based upon the D5 and a photo of it can be found here. My own D5 has been modified make a more compact and portable rebreather here.